When you want a boost in mood, what is the first thing you seek out? Is it a certain soundtrack, book, movie, or fabric? Changing your mood can be as simple as walking into a different room. Have you ever wondered why most salons use the same neutral tones, or why some dentist paint their walls blue? 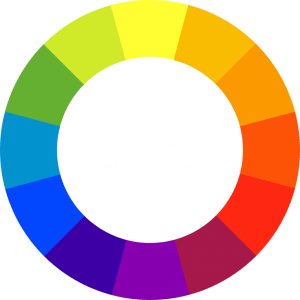 There is a definite psychology to color, and choosing a certain color can really set a mood. A common misconception about the color red is that it incites anger or irritation. If that were the case, so many restaurants wouldn’t chose it as the main color in the dining room. on the contrary, red has been shown to increase liveliness and energy, which is helpful when you want to boost a patron’s appetite. Red’s cousin, pink, is being seen more and more in contemporary remodels, and for good reason. Studies have shown that bright pink can be soothing. Pink is said to conjure feelings of joy and romance, even though bright pink can be hard to stomach on a daily basis. If you have a room in your house that is used strictly for relaxing, you should explore shades of green for the walls. Green has been shown to have a serene, calming effect, which is perfect for a library or family room. Surprisingly, some experts do not recommend using yellow as a main color in a room. For some people, yellow can generate warm and fuzzy memories of their childhood kitchen, so it may work for them. However, yellow can actually elicit feelings of frustration and annoyance. Whatever color you choose, allow us to assist you with our professional staff of residential painters. We believe in quality, and strive to consistently satisfy our clients.